Pumphrey Law Media Videos Can You Buy Me Some Alcohol? 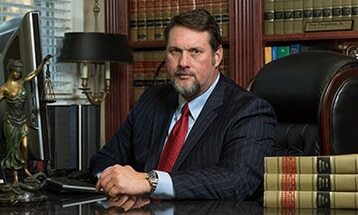 My name is Don Pumphrey Jr. for the Pumphrey Law Firm. It is not a good idea to buy alcoholic beverages for persons who are under age. In fact not a very good idea to buy alcoholic beverages for anyone that you believe may consume that alcoholic beverage and get behind the wheel of an automobile or walk out into traffic or drink too much and poison themselves and harm themselves. If you’re a person who’s over the age of 21 and your buddy, your friend, your sister, your brother, is saying “Hey can you buy me some alcohol?” Bad idea – Don’t do that! It’s a really bad idea because if you purchase alcohol for someone – first of all that’s a crime in and of itself. The fact that you purchase it and then you give the alcohol to another person who is under the age of 21, you’re contributing to the delinquency of a minor if they under the age of 18 and you’re violating Florida Statute. More importantly you are creating a liability for yourself if that person consumes that alcoholic beverage that they weren’t supposed to have in the first place, there could be ramifications that go far beyond just providing alcohol to someone who’s underage. Be careful out there and remember to always be respectful to law enforcement. If you have any problems or any questions, please give us a call. I’m Don Pumphrey Jr. for the Pumphrey Law Firm.